Ground Control Lawn and Landscaping, Inc. Comment: I have contracted for the construction of a new house. The foundation has not need pouredâ so construction will not be completed until about mid September. The address is 344 Carrara Court in Taliâs Park Subdivision. The lot is 14,000 sf. Comment: I do not know the dimensions of my lawn. I would guess it is half of an acre. The backyard is fence enclosed; the gate opening is 48 inches. The front and two sides are open. I do have dogs, so I would need to know the approximate arrival time to be sure the dogs are not outside. I need the yard to have a spring clean up. In the fall I need leaves to be raked or blown to the street for pickup. I need to have more mulch put around the shrubs if that is a service you provide. Fort Wayne Lawn Care Services are rated 4.65 out of 5 based on 1,768 reviews of 22 pros. 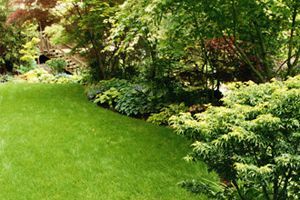 Not Looking for Lawn & Garden Care Contractors in Fort Wayne, IN?